In spite of the scars left by the recent housing recession, home ownership is still a goal for many people in this country. If you resolved to purchase a home in 2012 it’s time to take action. The timing for such a move is ideal right now. Professional observers of the housing market say the price of homes has bottomed out in many markets and interest rates are at their lowest point ever. Although there are some positive signs in the recent months, it will take years before the housing market is back on track like it was. This gives prospective buyers time to get their plans in order before taking the plunge. First make sure the timing is right for you to buy. Are you ready for the responsibility of home ownership? Will you be able to handle the maintenance required of homeowners? Are you ready for the lifestyle change that comes with owning property? Secondly, make sure set your sights on the right top of home for you. There are benefits and pitfalls to different types of properties. Condos and townhomes, for example, can free up owners of the responsibility for outside upkeep. No snow shoveling, mowing or major repairs. Single family homes offer social opportunities and more freedom. You’ll have a yard for the kids to play in, where you can plant flower gardens, and grow your own food. You won’t have to abide by condo association rules, although some HOA’s have their own guidelines you must follow. When you’re ready to talk about seriously about Brunswick County real estate give us a call at Sloane Realty. 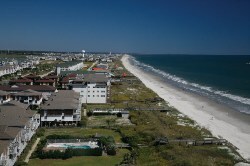 We can answer any questions about our Brunswick County real estate that you might have.